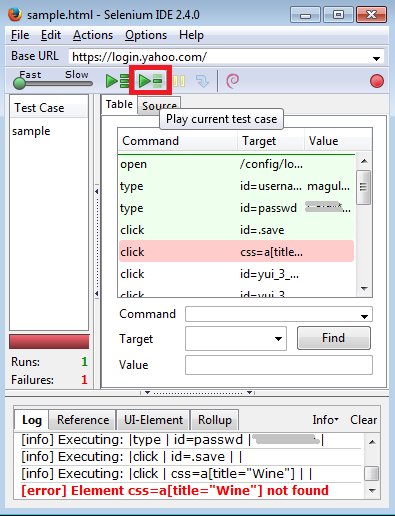 Infallible Techie: How to record and play using Selenium IDE? 1. 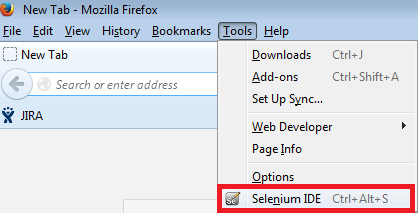 Go to Tools --> Selenium IDE. 2. Open any site. The recording process will be on by default. For example, open www.yahoomail.com, give your username and password, click login, open any email. 3. 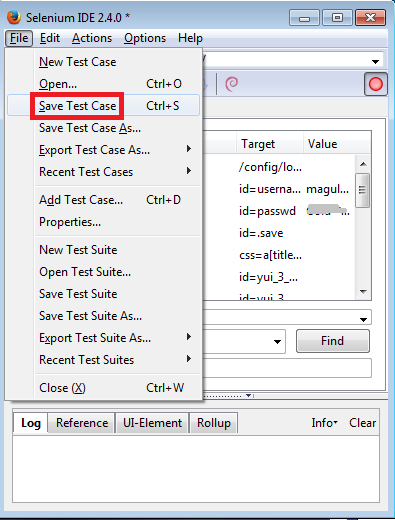 Click "Save Test Case" to save. 4. 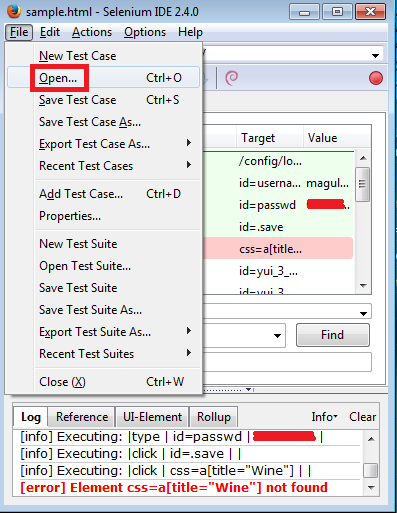 Click "Open" and locate the saved test case. 5. Click "Play current test case" to play.